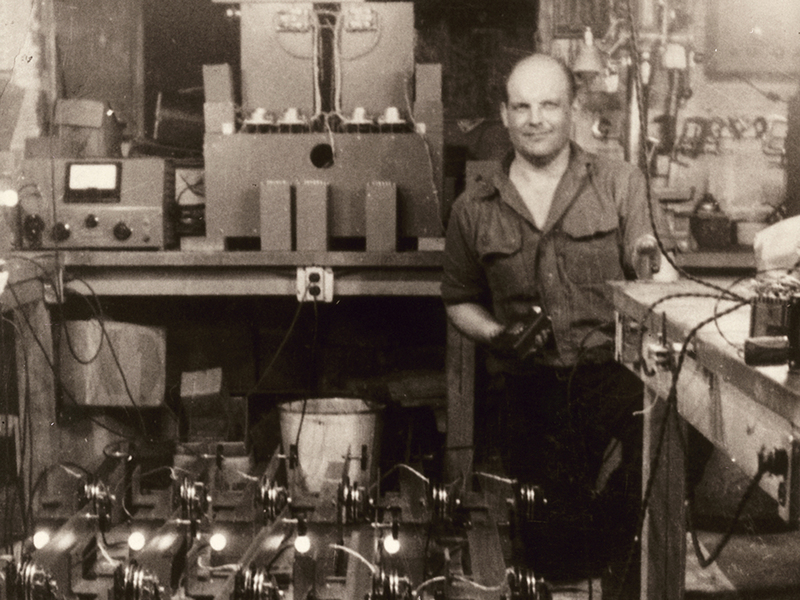 Fluke is celebrating 70 years in test and measurement by sharing stories of inspiration—ours and yours. 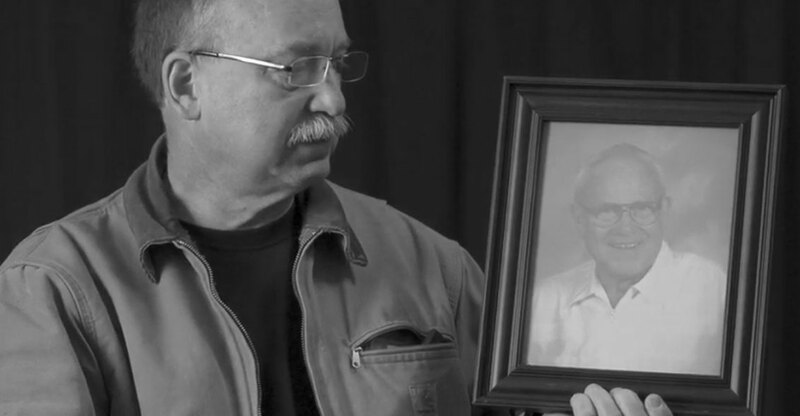 Our story starts with you—the electricians, technicians, engineers, and other tradespeople. You are at the center of everything we do—from accuracy to product innovation to safer work practices. Our founder, John Fluke, Sr., served in the U.S. Navy during World War II and explored the depths of engineering at MIT. 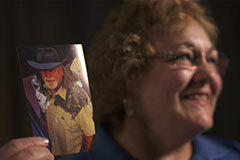 It was the people he encountered along his journey who inspired him to find solutions to common challenges. 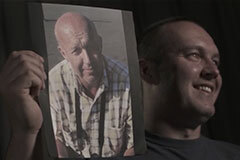 They didn’t just inspire products, they inspired a vision. Having earned a master’s degree in electrical engineering from MIT and worked at General Electric before World War II, John Fluke Sr. returns from a six-year stint in the Navy to start a new chapter. 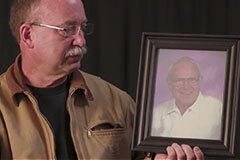 He engages with American Machine and Foundry (AMF) in Buffalo, New York as a consulting engineer tasked with developing improvements to the automatic pin-setting machine for bowling alleys. His work for AMF resulted in his being granted eight patents. The post-war economic expansion in the U.S. includes many factories transitioning from producing war supplies to consumer goods like autos and home appliances. 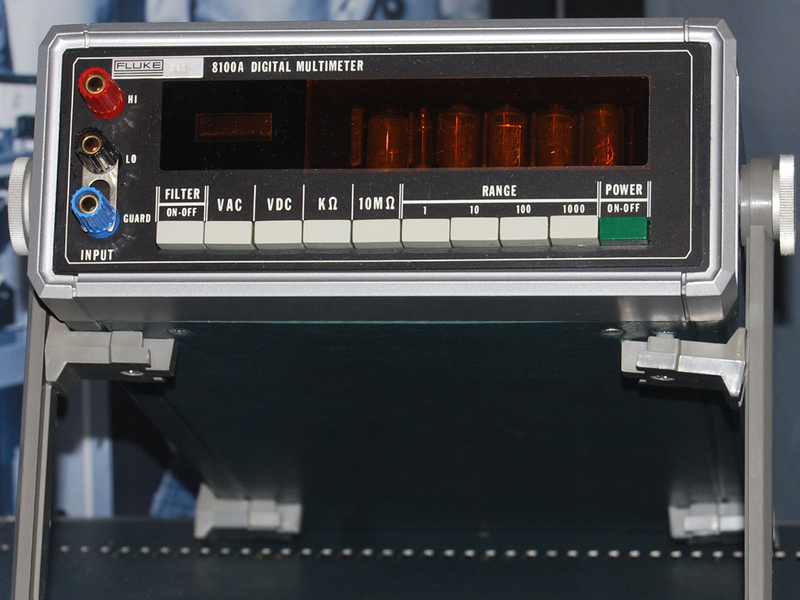 After his experience in the Navy trying to resolve shipboard electrical problems with bulky, difficult to operate analog meters, John Fluke recognizes a need for more accurate, easier to use diagnostic tools. 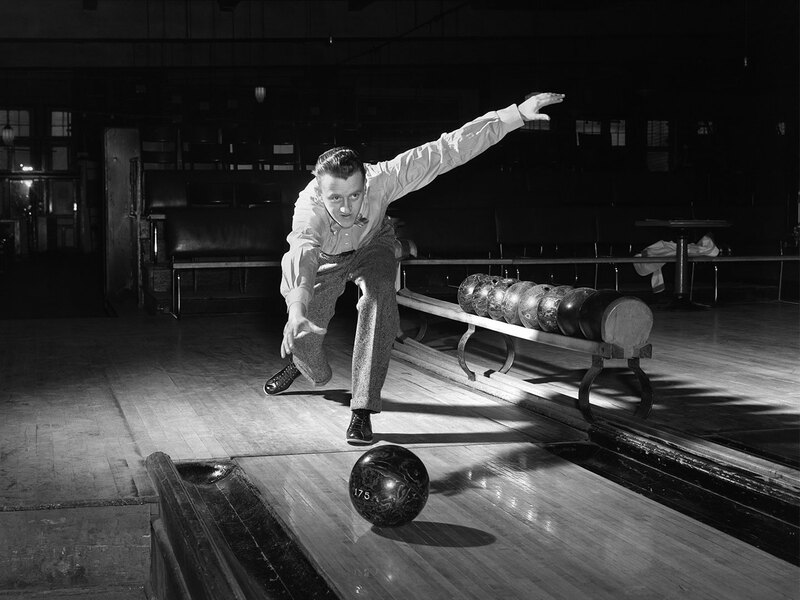 He uses the proceeds from selling his bowling machine patents, to start the John Fluke Engineering Co. in his basement workshop in Springdale Connecticut. The company’s first product is a highly accurate benchtop power meter, and its first customer is the General Electric Company. 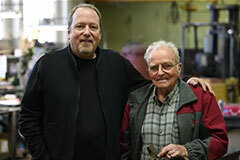 John Fluke moves his ﬂedgling company to Seattle, Washington, just north of his birthplace in Tacoma, and incorporates as the John Fluke Mfg. Co., Inc.
As the production of solid-state electronics products and equipment surges, so does the demand for accurate devices to help in the design, manufacture, testing, and servicing of those products. Addressing that demand, Fluke introduces the Model 800 Differential Voltmeters. These rugged, portable units bring laboratory accuracy to a wide range of applications. Tests that had taken hours before, now take only minutes. 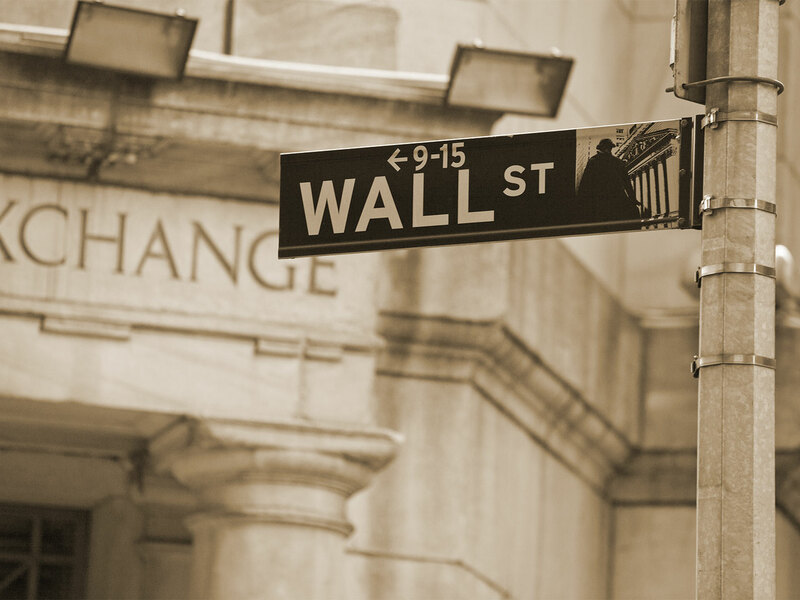 Fluke Manufacturing Company goes public with an initial stock offering. 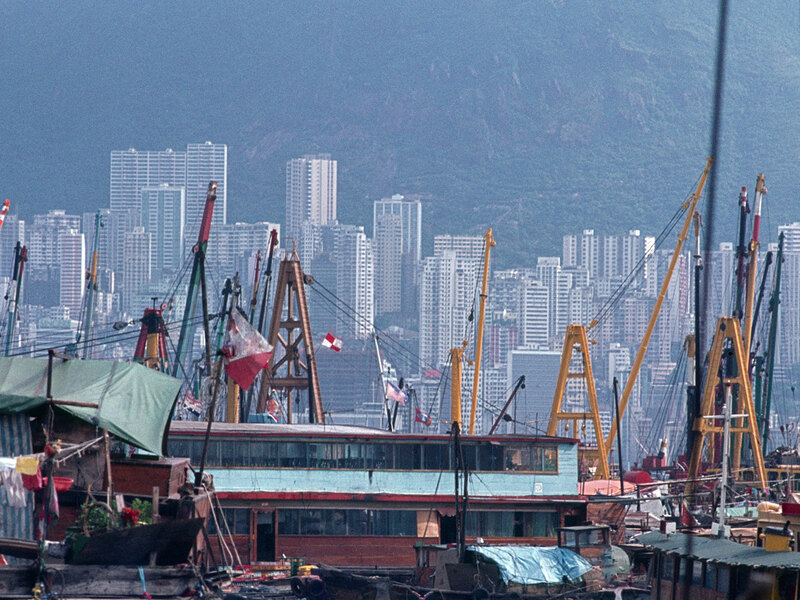 The Post World War II global economic boom continues. 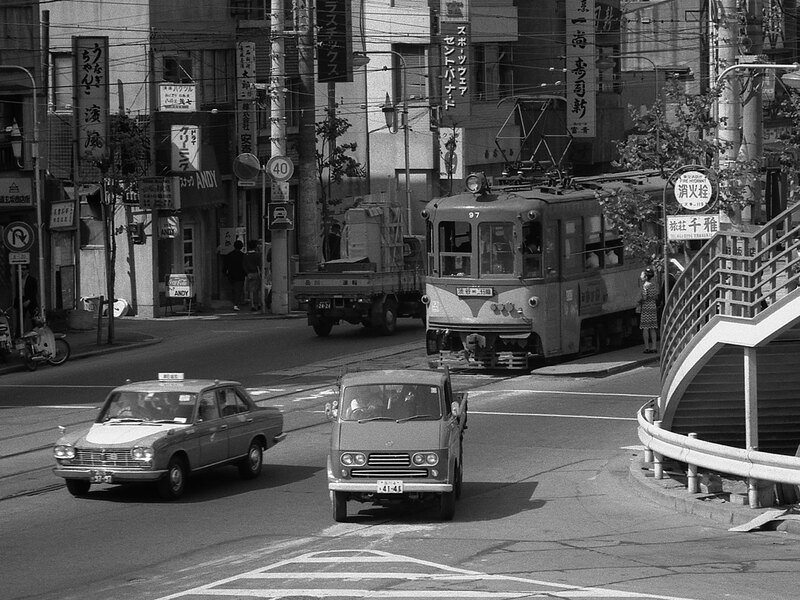 By 1960 Japan has exceeded its pre-war level industrial production and becomes a major force in automobile manufacturing, second only to the U.S. Recognizing the growth potential for test and measurement equipment to keep those facilities running smoothly and efficiently, Fluke starts selling its products in Japan through an agreement with the Toyo Trading Company. The race for production efficiency continues across the industrial landscape. 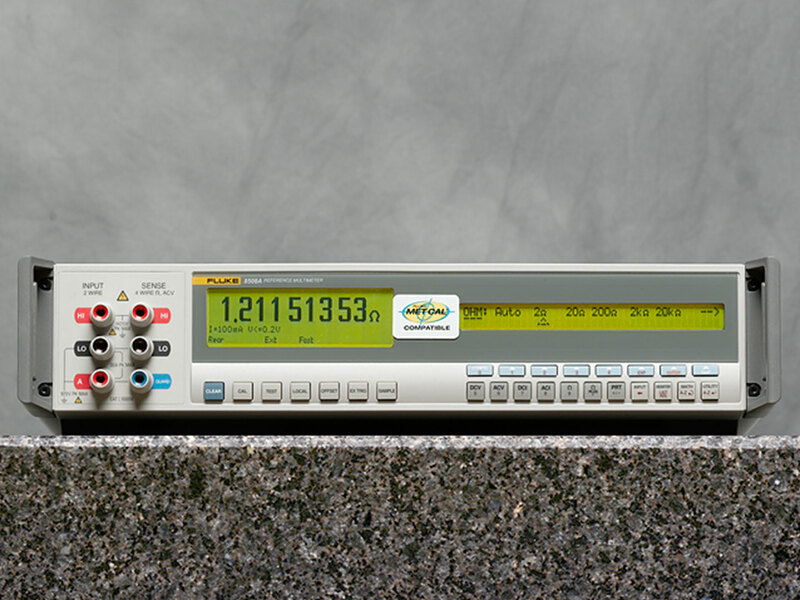 To help support that trend, Fluke introduces the first True-RMS digital voltmeter (9500A). 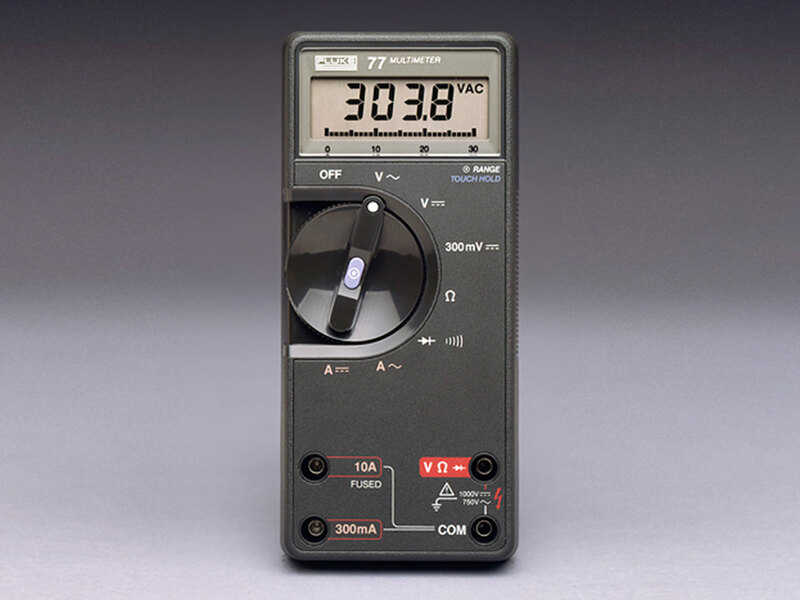 This single function meter takes automatic measurements and reduces per measurement time from a minute to only seconds. 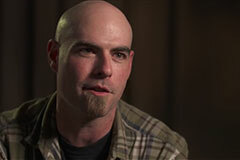 It also reduces the amount of technician training required. 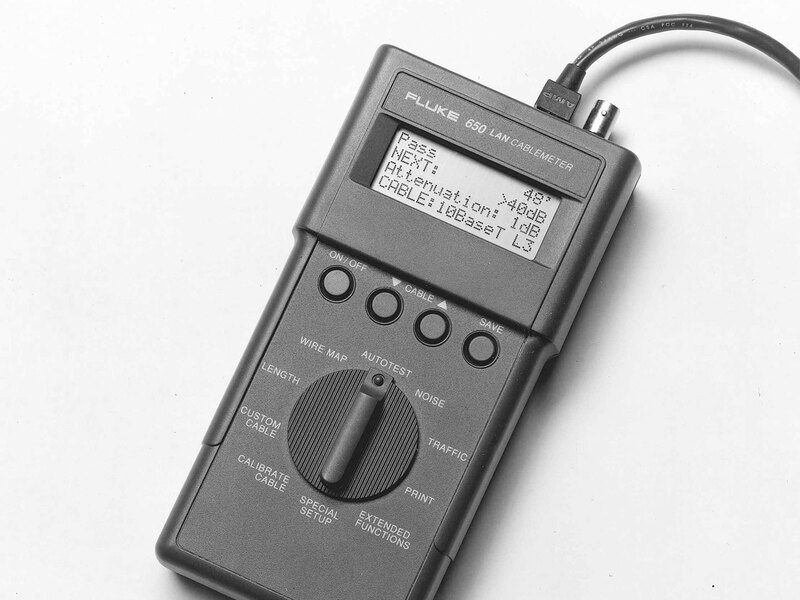 The year man first walked on the moon, Fluke digital multimeters become the tools for the times, revolutionizing the industry with better reliability at a lower cost. 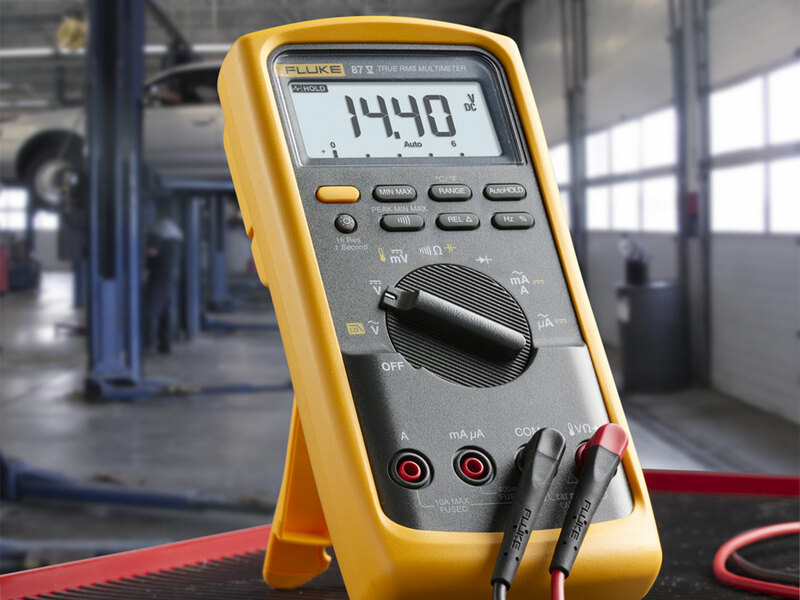 The Fluke 8100A Digital Multimeter introduces battery power to multimeters, allowing technicians to efficiently test equipment in place rather than take components back to the shop or drag expensive, bulky test systems onto the factory floor. 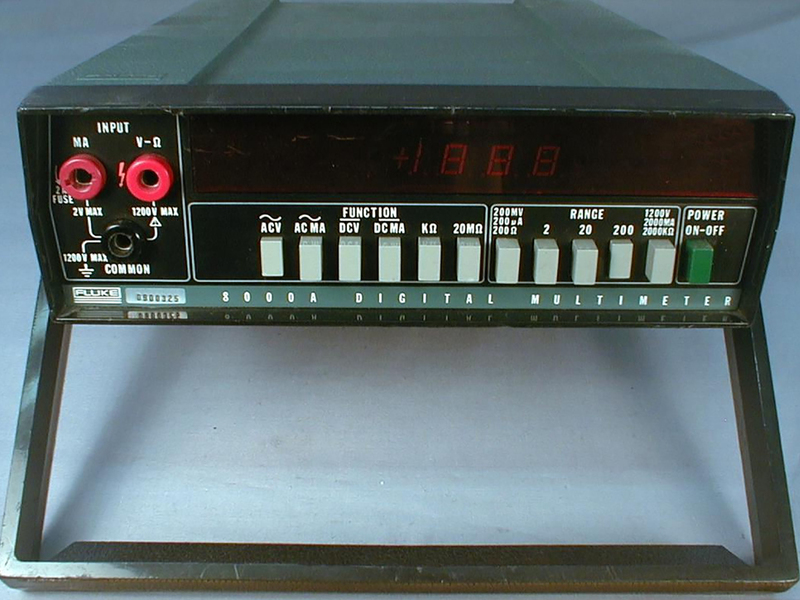 That same year to address the growing use of mainframe computers in manufacturing and business operations Fluke introduces the 8300A Systems digital multimeter, which combines an isolated computer interface along with reliable, accurate voltage, current and resistance measurements. 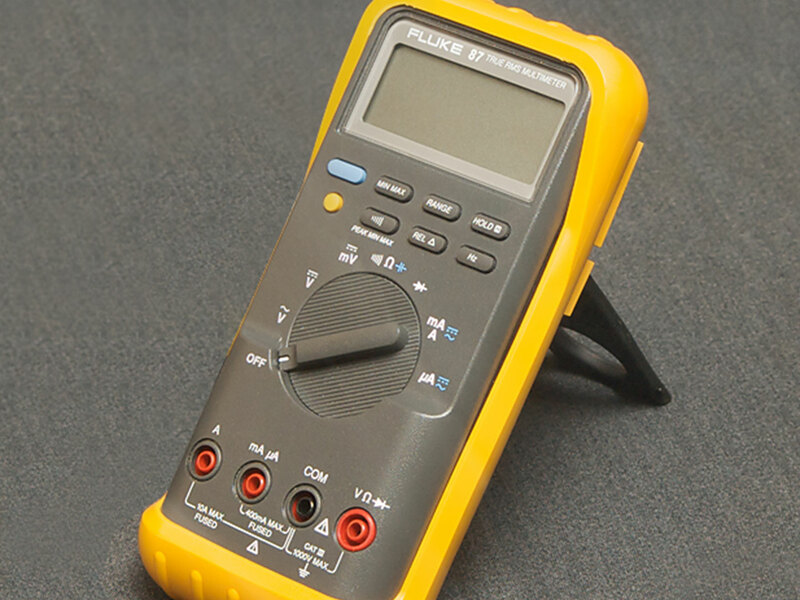 Fluke introduces the groundbreaking 8000A—the ﬁrst low-cost, portable bench digital multimeter. Fluke teams up with GE high energy labs to research how to protect against dangerous transients. 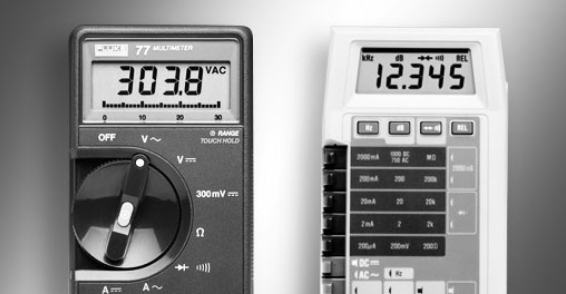 The result produces subsequent versions of the 8000A and later Fluke multimeters that incorporate input transient protection for more than 8000V. President Nixon makes an historic trip to Beijing in 1972, signaling a start to re-establishing diplomatic relations with the People’s Republic of China. The following year Fluke begins selling products in China. Fluke introduces Terminal 10 computer-operated calibration, which incorporates very stable dc voltage reference amplifiers with thermal ovens that can run on batteries and can be shipped. This product is adopted by the National Bureau of Standards to validate accurate replication of national voltage standards. 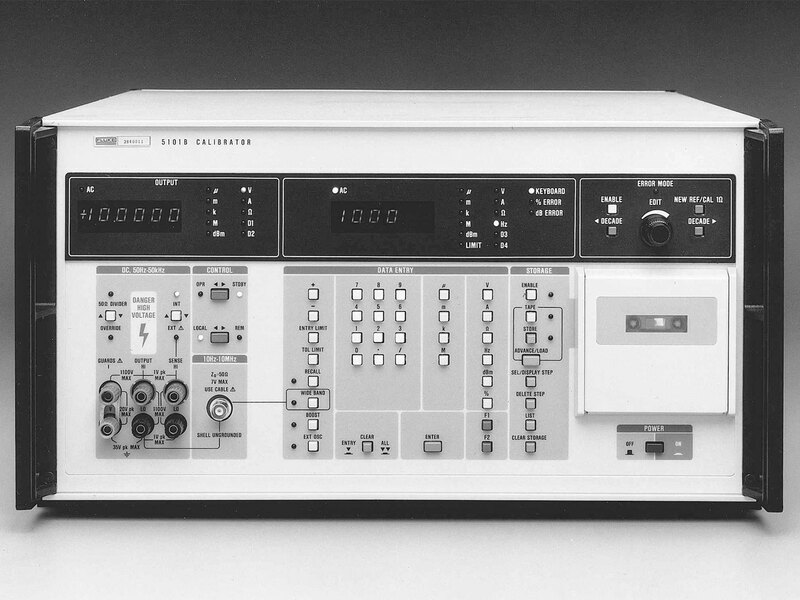 This sets the stage for future programmable calibrators such as the 5101 A and B—the first automated table top calibrators, which are introduced later that year. 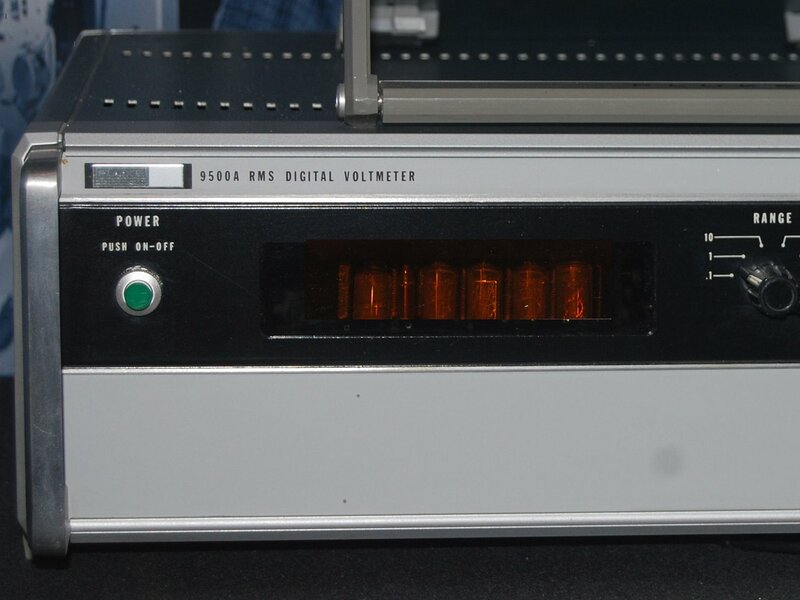 The 5101A can be programmed by a computer via the IEEE-488 interface, or by and internal tape cartridge. To respond to its growing global business Fluke dedicates a European Headquarters in Tilburg, Netherlands. This is a year of technological wizardry. The Star Wars movie is released and that’s only the beginning. 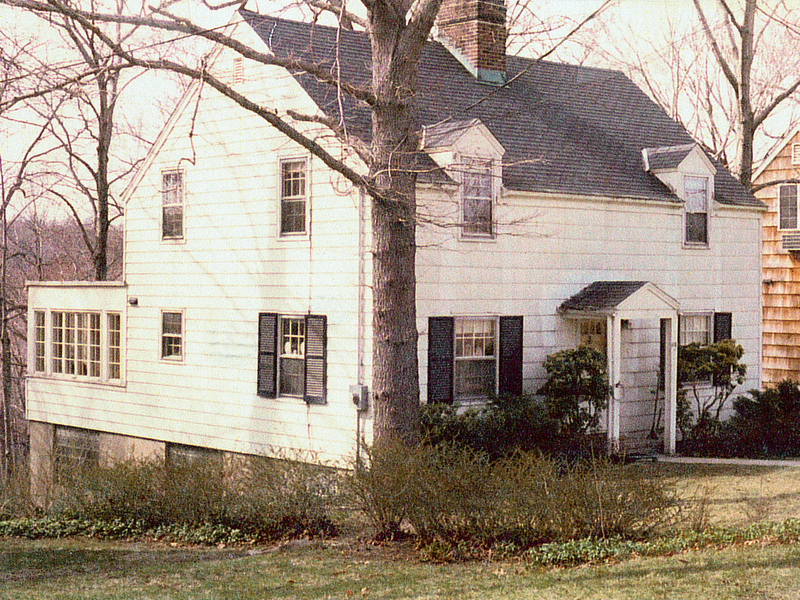 Real life developments include the U.S. release of the Apple II computer, the Atari 2600 video game console and the first VHS VCR. Fluke makes a revolutionary release of its own, introducing the Fluke 8020A, the world’s ﬁrst practical handheld digital multimeter. With its analog and digital circuitry combined into one custom integrated circuit it delivers more accurate, more reliable and safer operation than analog volt-ohm meters. 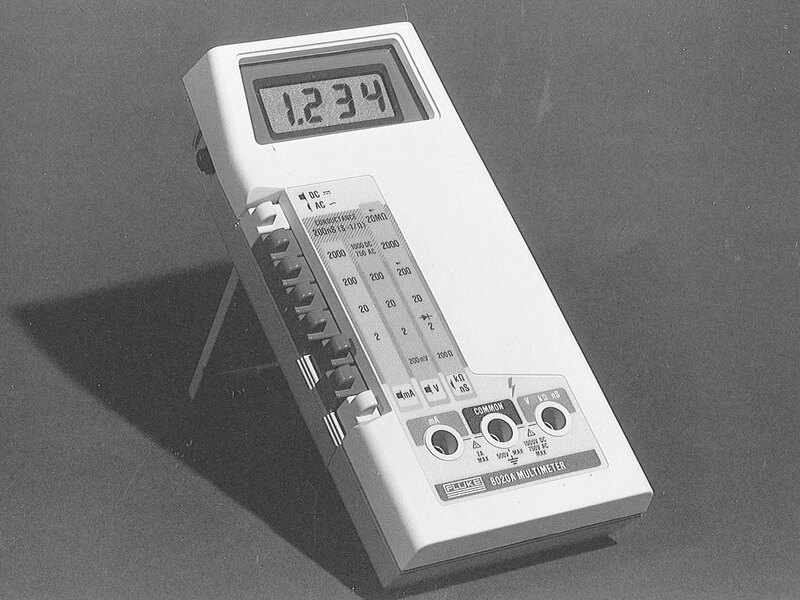 By the time the 8020A is retired in 1984, more than 250,000 had been sold. That same year Fluke publishes Calibration: Philosophy in Practice—the first comprehensive textbook on dc/low frequency metrology calibration. 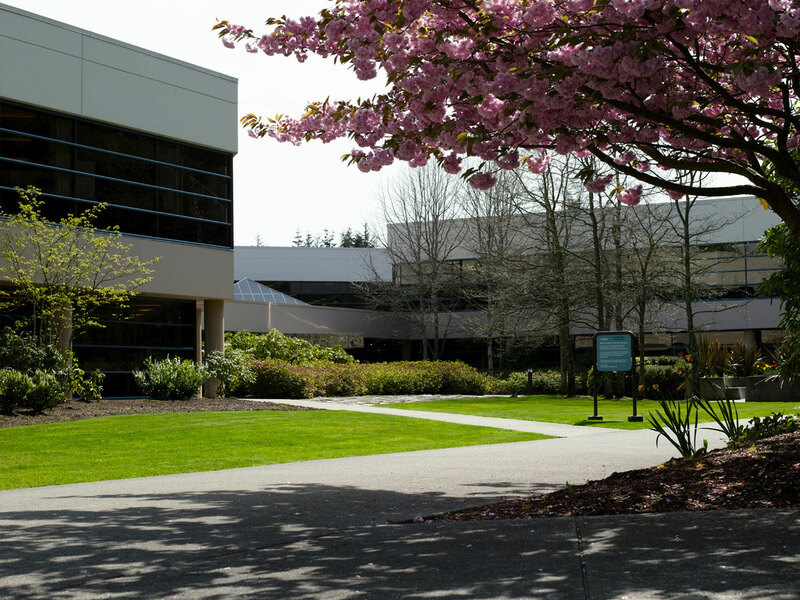 To meet the continuing sales growth in its key product categories, Fluke completes a new 500,000-square foot, $26 million, corporate headquarters in Everett, Washington, which includes manufacturing as well as research and development. By the early 1980s Fluke customers have expanded beyond design engineers to encompass a new breed of users called field service technicians. These include engineers, electricians, and technicians who work on electrical equipment in industrial and commercial facilities and even on computerized cars. 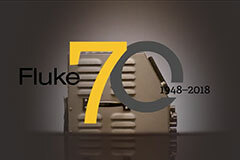 Against this changing service backdrop, Fluke introduces the 70 Series Analog/Digital Multimeter. 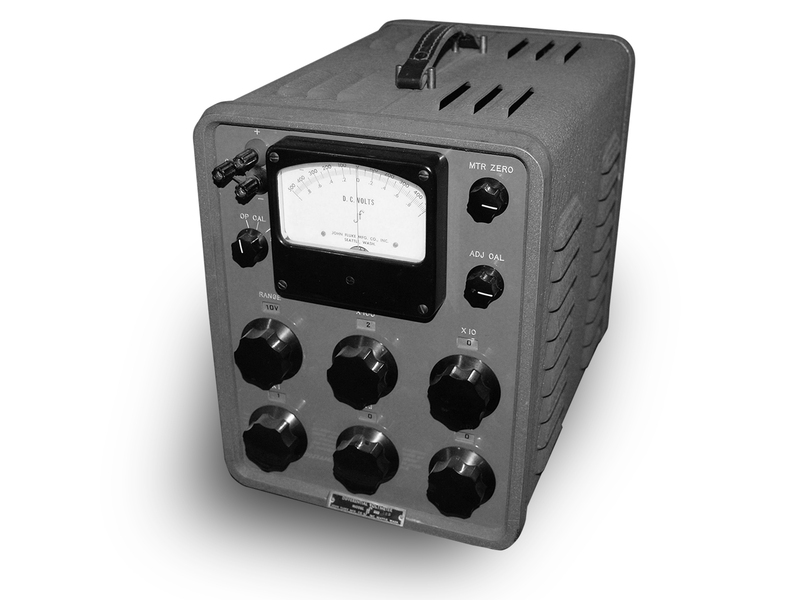 The 70 Series introduces an analog bar graph and new levels of accuracy, affordability, and ease-of use, that help to make it the defacto standard for a new generation of Fluke customers. Fluke continues to expand applications for its handheld digital multimers. It introduces the Fluke 80 Series Digital Multimeter that includes integrated frequency and capacitance. The rapid spread of personal computers, energy efficient lighting and electronic controls produce an alarming rise in harmonics in industrial and commercial electrical systems. Fluke recognizes the need to be able to see waveforms simultaneously with electrical parameters to catch harmonics and other problems more quickly. 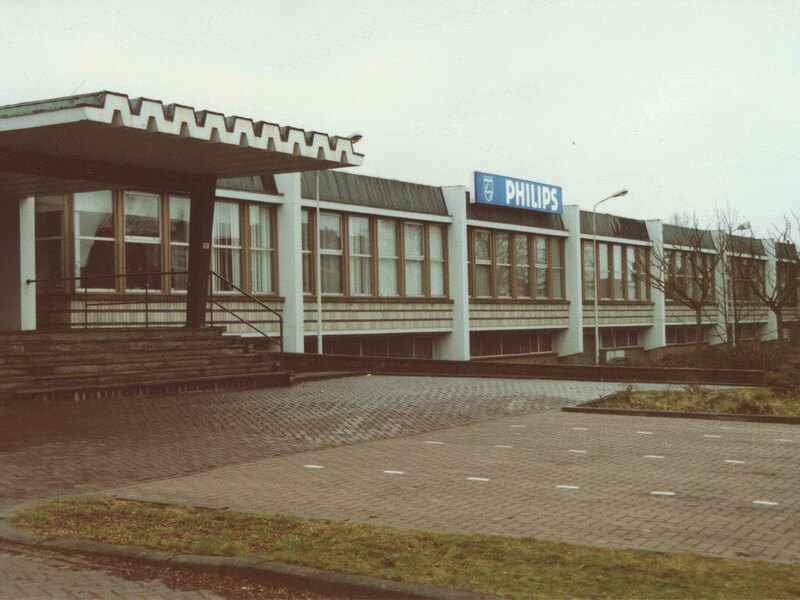 It partners with the measuring device division of N.V. Philips in the Netherlands to create Fluke ScopeMeter® Test Tool. ScopeMeter is the first tool to offer waveform analysis combined with multimeter and recorder capabilities all in a single handheld device. The networking of personal computers spreads and to help expedite the process, Fluke launches its first network test product, the 650 CableMeter, followed a year later by the 670 LANMeter, the industry's ﬁrst handheld network analyzer. To continue its leadership position, Fluke is the ﬁrst major test and measurement company in the U.S to receive ISO 9001 certification for quality management. This is also the year that Fluke acquires the testing and measuring device division from Philips Electronics in Eindhoven, Netherlands. 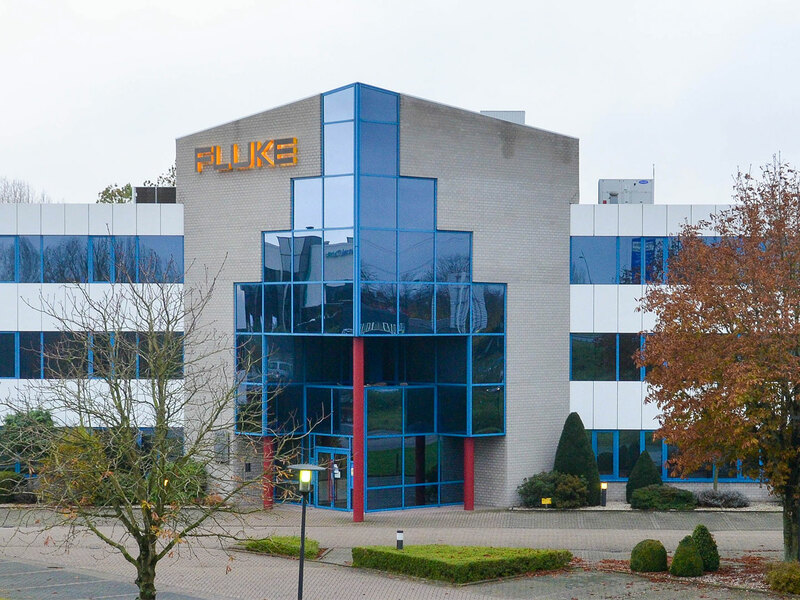 Eindhoven becomes Fluke’s regional office for Europe, the Middle East, and Africa. 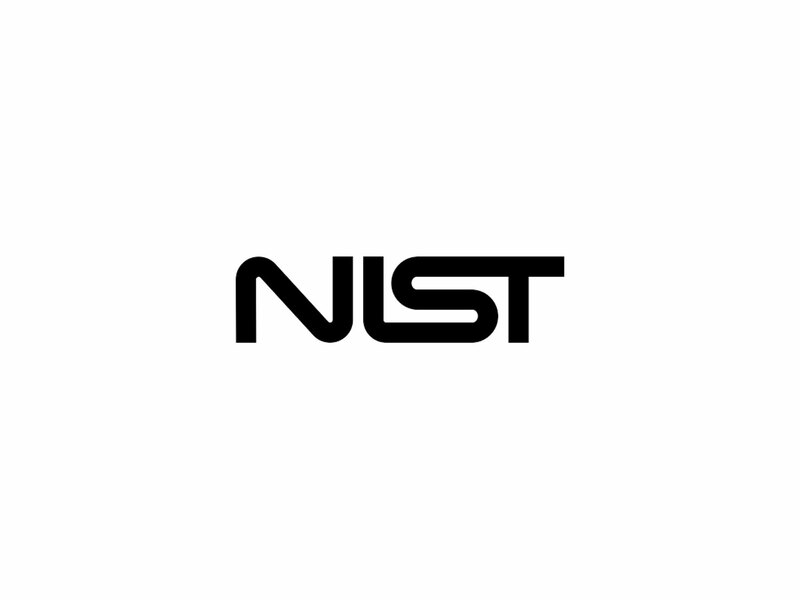 The Fluke Primary Standards Lab is accredited by the NIST National Voluntary Laboratory Accreditation Program (NVLAP) and later by the Deutscher Kalibrierdeinst (DKD). It is one of only a few commercial calibration labs in the world to be so certiﬁed. 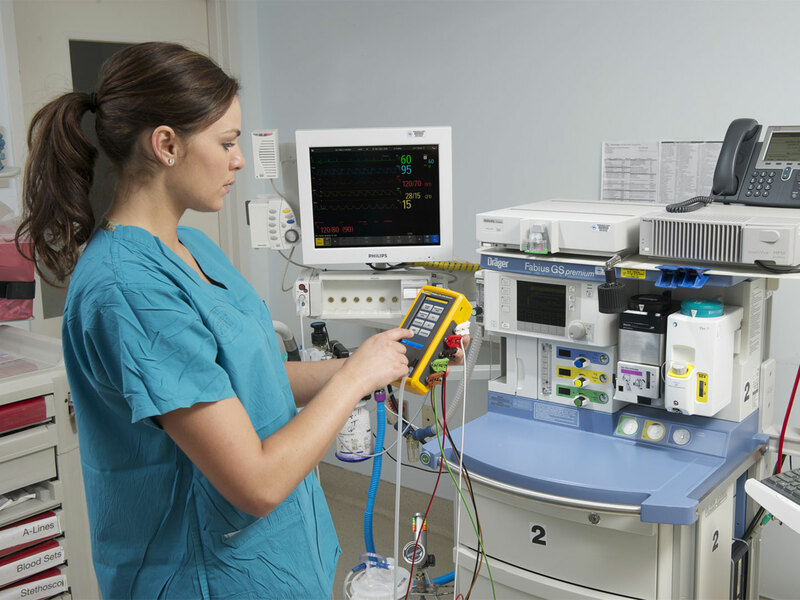 Fluke expands into temperature calibration, biomedical test equipment and infrared thermometers. 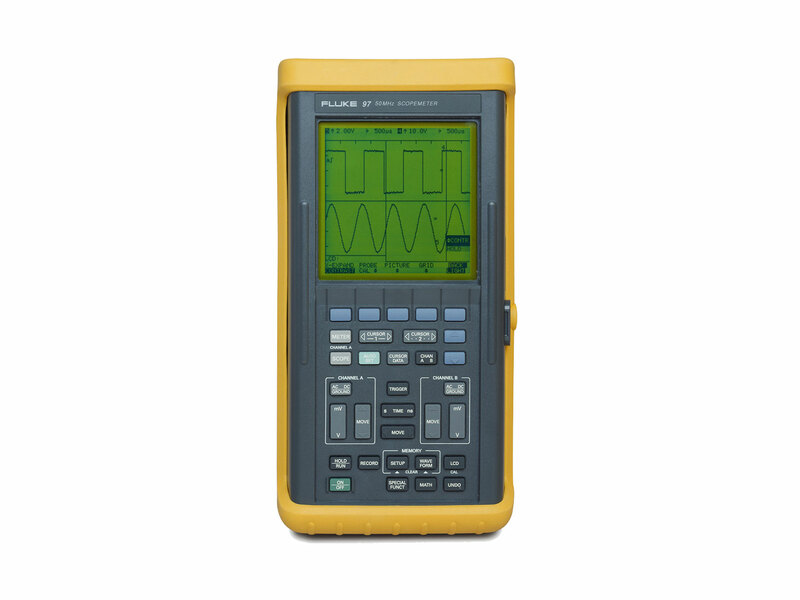 The introduction of the Fluke 8508A reference multimeter extends Fluke’s reputation for precision measurement products that achieve unmatched accuracy and stability into a new product category specifically for metrology applications. The introduction of the Fluke Model 87V industrial multimeter adds a thermometer function and the ability to accurately measure frequency and voltage on adjustable-speed motor drives. More than a decade later the 87V is still a go-to tool for many industrial electricians and engineers. Fluke introduces its ﬁrst thermal imager, the Ti30, making a formerly complicated, expensive and bulky tool, easier to use, to carry, and to afford for more customers. 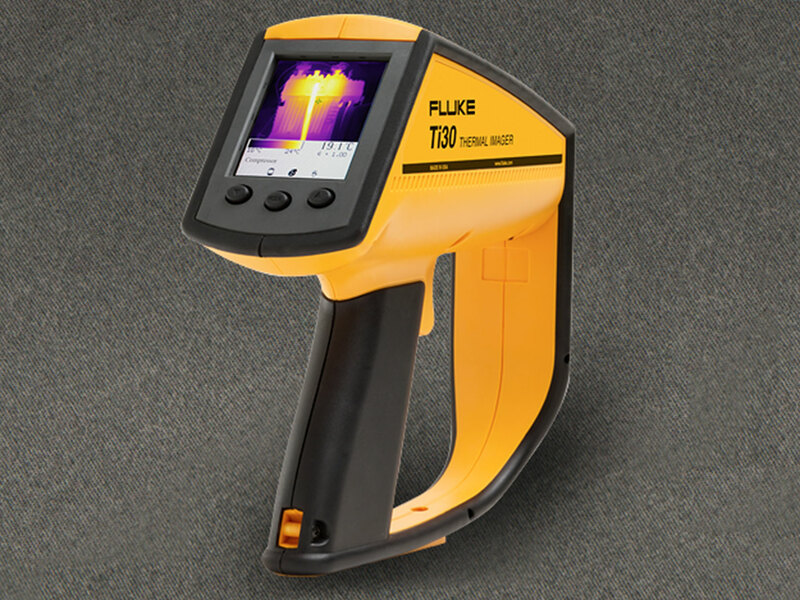 The following year Fluke continues to innovate, adding IR Fusion® Technology to its subsequent thermal imaging models. Users can now view visible light and infrared images together in one display image, which makes it easier to locate anomalies and resolve problems. Also in 2006, the Fluke Safety and Environmental Laboratory becomes one of approximately 50 companies worldwide to be certiﬁed by VDE’s Test Data Acceptance Program. The Fluke 289 True-RMS industrial logging multimeter in 2007 Fluke delivers the first handheld meter with TrendCapture, allowing technicians to perform more advanced diagnostics in the field. 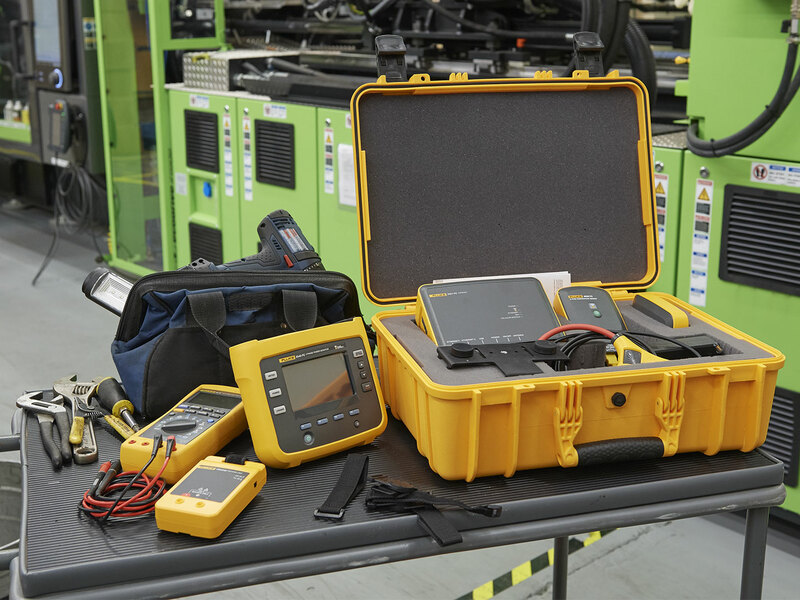 In 2009 Fluke launches the ﬁrst remote display test tool, the 233 Digital Multimeter, which allows workers to view results on a detached up to 10 meters (33 feet) away from the test point. At about the same time, Fluke Biomedical introduces TNT X-Ray Test Tools and makes its debut in the diagnostic imaging quality assurance market. Fluke Biomedical introduces the ProSim Vital Signs Simulators, which combine multi-parameter patient function simulation in a single device. These simulators break market records for multifunction testers. The rapid adoption of smartphones and cloud computing frees users to communicate, work, and even transfer information from virtually anywhere on the planet. Tapping the trend, Fluke introduces Fluke Connect®, the world’s largest system of wirelessly connected tools. 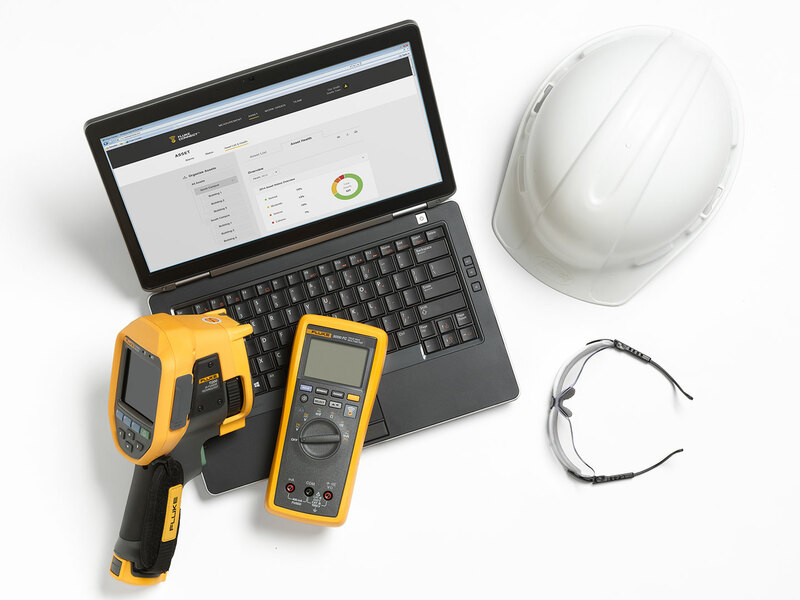 Using Fluke Connect enabled tools customer can monitor tools through their smartphones from anywhere and save and share measurement data securely through the cloud. Fluke Networks embraces the speed and convenience of the cloud, introducing Linkware™ Live for the Versiv™ family. 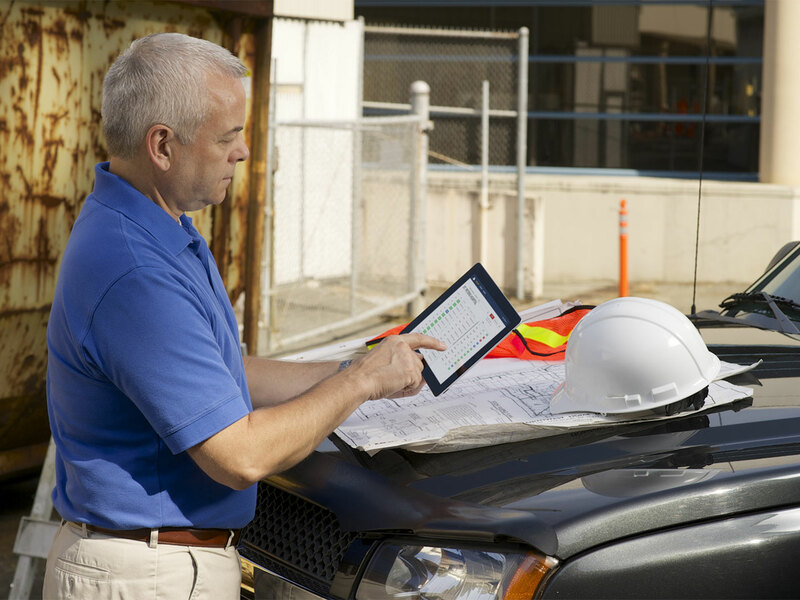 This cloud-based service enables Versiv users to manage cabling certification jobs anytime, anywhere, with anyone on any device. The Internet of Things (IoT) comes to apply to everything from toasters and refrigerators, to predictive maintenance systems in large industrial plants. Getting ahead of the curve, Fluke introduces the Fluke Condition Monitoring system of portable sensors to allow continuous monitoring. FCM sensors can be moved from asset to asset or left in place to deliver real-time data streams and a history of equipment performance to mobile devices. 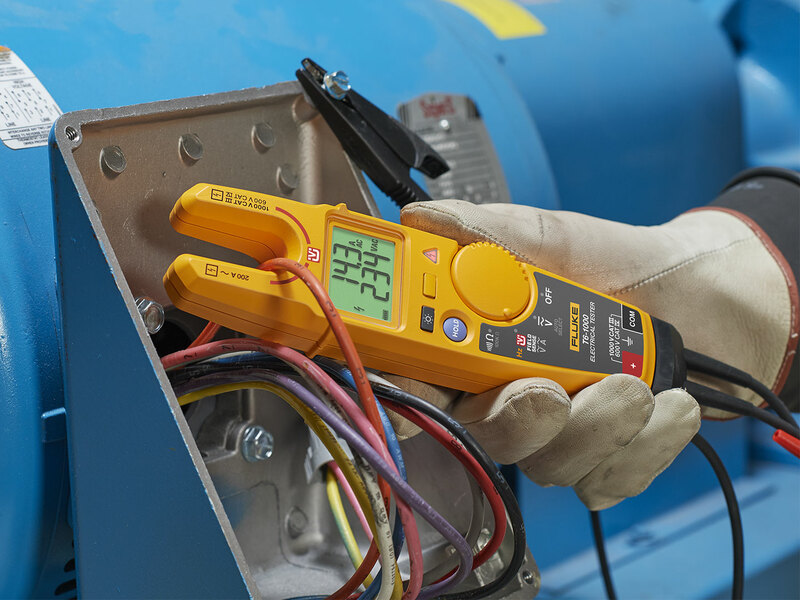 To help reduce risk of arc flash and shock, Fluke introduces FieldSense technology, which isolates the measurement tool from the voltage source under test so electricians and technicians can measure voltage without test leads.